Thanks to Legal Sea Foods, waiting for your flight at Boston's Logan Airport can be almost as much fun as the trip itself! Located just past security in Terminal C, they can always be counted on for fresh, delicious seafood. 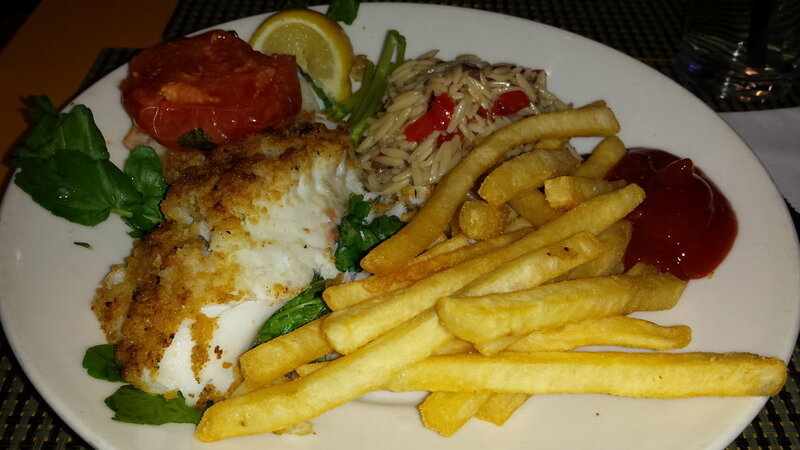 My favorite dish is Anna's Baked Boston Cod. Topped with decadent, buttery breadcrumbs, the cod comes with baked tomatoes and your choice of two sides. I selected the perfectly crispy french fries and the wonderfully tangy orzo salad chock full of salty Kalamata olives. This dish can also be prepared gluten-free if you desire. Still have time to spare before you take off? Order some dessert, or keep on walking to Pinkberry to splurge on creamy frozen yogurt. Happy travels!